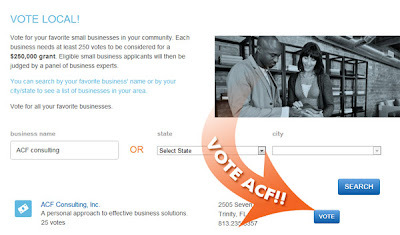 ACF Consulting Blog: Help ACF win the Small Business Grant! 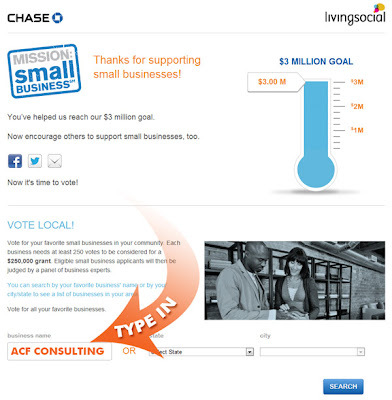 Help ACF win the Small Business Grant! 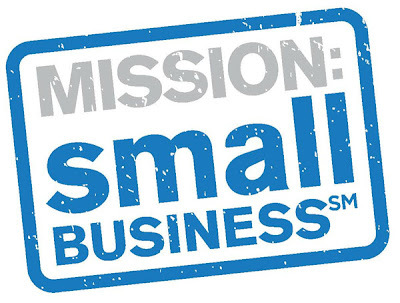 We are eligible for a small business grant that will enable us to grow our support for the Tampa Bay business community, but we need your help. In order to be considered, we need 250 votes before Saturday June 30th. Tell your friends. 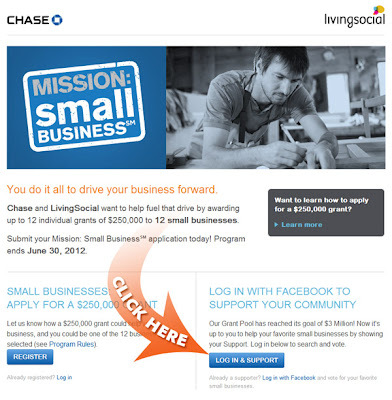 It’s easy they let you do it right from the next screen, just click on one of the three methods and off you go! 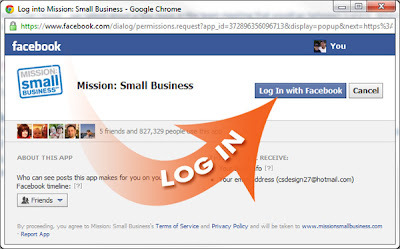 If you gotten this far, then we hope you know how much we truly appreciate your assistance. 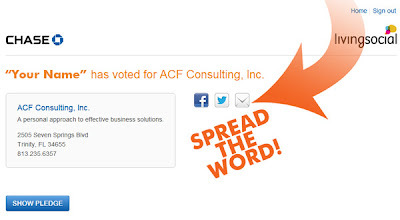 If there is anything at all that any of us at ACF can do for you, just let us know! 813.235.6357.